Best-selling author, Patrick E. Craig, is a lifelong writer and musician In November, 2011, Patrick signed a three book deal with Harvest House Publishers to publish his “Apple Creek Dreams” series. His Latest work, “The Amish Heiress” (Book One in The Paradise Chronicles series) has been on the best seller lists on Amazon since August. Patrick is represented by the Steve Laube Agency. A veteran law enforcement officer, former Marine, and ordained Christian pastor, Ray’s first novel, “Notorious”, was published in 2011. Since then Ray has been selected as one Idaho’s Top 50 Authors for the year of 2011, and then as a Top 10 Idaho Author in 2012; most recently Ray was awarded the 2014 ACFW, Idaho chapter Writer of the year. Peter Leavell, a 2007 graduate of Boise State University with a degree in history, was the 2011 winner of Christian Writers Guild’s Operation First Novel contest, and 2013 Christian Retailing’s Best award for First-Time Author. Peter and his family live in Boise, Idaho. For entertainment, he reads historical books, where he finds ideas for new novels. Whenever he has a chance, he takes his wife and two homeschooled children on crazy but fun research trips. A British ex-pat who grew up an hour outside of London, Lisa attended Calvary Chapel Bible College where she met her husband. He’s from California, but nobody’s perfect. It wasn’t until her Bible College graduation that she figured out she was a writer (someone told her). Since then she’s discovered a penchant for high-stakes stories of mayhem and disaster where you can find made-for-each-other love that always ends in happily ever after. Angela Ruth Strong studied journalism at the University of Oregon and published her first novel, Love Finds You in Sun Valley, Idaho, in 2010. With movie producers interested in her book, she’s decided to rerelease it and write sequels as a new series titled Resort to Love. This Idaho Top Author and Cascade Award winner also started IDAhope Writers to encourage other aspiring authors, and she’s excited to announce the sale of her first romantic suspense novel to Love Inspired Suspense. Come join us for devotion, good fellowship, and a great panel! This entry was posted in Uncategorized on May 10, 2016 by heatherwoodhaven. This month, on Thursday, April 14, we are going to focus on some Critiquing and Brainstorming. 7:15 Critiquing and Brainstorming Sessions. Attendees may choose to visit a Critique or Brainstorm Group. Members will form groups of four and are encouraged to group with other writers in similar genres(if available). A few pointers on Critiquing andBrainstorming as a refresher. 1. We will divide into groups of 4. 3. Bring 4 copies of your 1 page,single-spaced work to be critiqued. 4. I recommend spending 8 to 9 minutes allowing others to read your work, and 7 to 6 minutes discussing it. If you are the reader point out what you enjoyed about the piece, any mistakes you noticed, and offer suggestions to improve from your perspective. This is straight forward, talk about what you want to do with your book idea or where you’d like to take your work in progress. Simply lay out your ideas or existing timeline in fairly brief detail(within 5 minutes) and ask for ideas on what comes next. Tips: As ideas are offered that won’t fit your book, don’t shoot them down with anti-aircraft weapons, graciously acknowledge them as good ideas and specify how you’d like to take the story in a different direction. Also while offering ideas don’t stop offering them if some of them won’t work. Your doing your job correctly and it is always appreciated by the one looking for ideas. Our meeting will be held at Meridian First Baptist Church in Meridian at 7pm! Come join us for devotion, good fellowship, critiquing, and brain storming! This entry was posted in Uncategorized on April 13, 2016 by heatherwoodhaven. Join us for our winter writing retreat. Saturday, January 23rd, 2016 from 8:30 a.m. until Noon at Meridian First Baptist Church. 428 W. Pine Ave. Meridian, ID. Brainstorming, encouragement, and writing time are on the agenda. Whatever you need to write. There will be outlets available to charge laptops. (Optional): A snack to share and/or a water bottle. This entry was posted in Uncategorized on January 17, 2016 by heatherwoodhaven. Bring your whole family to the annual Idahope Holiday Party! This potluck event will start at 6:30 p.m. Thursday, December 10. Meridian First Baptist Church has graciously provided their gym for us to use. What to bring: Huge smile on your face because we have a good time at this event. And…food (see the Potluck sign-up below). Hope to see you there! This entry was posted in Uncategorized on December 4, 2015 by heatherwoodhaven. Last month author Lisa Phillips shared her knowledge and tips on Deep Point of View. She recommended Rivet Your Readers with Deep Point of View for those who missed the meeting or want more in-depth tips. Big news! This month we are meeting on the third Thursday instead of the second. We will be focusing on critique and brainstorm groups. Hope to see you there! When: We start at 7:00 p.m. and end at 8:30 p.m. This entry was posted in Uncategorized on November 4, 2015 by heatherwoodhaven. We hope to see you on Thursday, September 10, 2015 at 7 p.m. The board gathered the results of the survey, met over the summer, and developed a plan to implement your suggestions! First off, we have a new meeting place. We remain a non-denominational group of Christian writers, but teamed up with Meridian First Baptist Church as our new meeting place. We are so thankful they are opening up the use of their library to our group free of charge. Not only will it be a larger space with plenty of chairs and tables, but we will be surrounded with books. Ah, books…Don’t you feel inspired and encouraged already? Click on the link above for Google Map directions. An information table in front of the library will hold: name tags, signups for events, the Idahope Library, and a question submission box. 7pm: Icebreaker/writing exercise will be introduced. 7:30-745 pm: Devotional time followed by prayer. Critique Groups will be divided, ideally, in groups of four. Members are encouraged to join other writers in similar genres. Bring four copies of your ONE page, single-spaced work to be critiqued. Each member will have ten minutes dedicated to their work. The first five minutes are allotted to read aloud your work while others follow along. The remaining five minutes are used as time for readers to point out what they enjoyed and any possible suggestions. Grouping recommendations are the same as above. Each writer has ten minutes to request & gather ideas from others in the group. Use specific questions and try to keep explanations of the plot thus far to a minimum due to the time constraints. This entry was posted in Uncategorized on September 3, 2015 by heatherwoodhaven. This month, come and hear guest speaker Robin Lee Hatcher! Mrs. Hatcher (astounding bio below) will be joining us to speak on “Marketing with Goodreads! Best-selling novelist Robin Lee Hatcher is known for her heartwarming and emotionally charged stories of faith, courage, and love. She discovered her vocation after many years of reading everything she could put her hands on, including the backs of cereal boxes and ketchup bottles. After fifteen years writing for the general fiction market and a change in her own heart, Robin began to write stories that included her Christian faith and values. Winner of the Christy, the RITA, the Carol, the Inspirational Reader’s Choice, and many other awards, she is also a recipient of the prestigious Lifetime Achievement Award from both Romance Writers of American (2001) and American Christian Fiction Writers (2014). Robin is the author of over 70 novels and novellas. Our meeting will be held at Creekside Arbor in Meridian at 7pm! Come join us for guest speakers, worship, good fellowship, and a writing exercise! 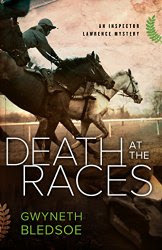 Congratulations to Gwyneth Bledsoe on the release of her second novel, Death At The Races (part of the Inspector Lawrence Mystery series) released January 22! Three Cheers for Andrea Graham with her release of Creature Of The Web: Volume Three of The Web Surfer Series Released February 5th! 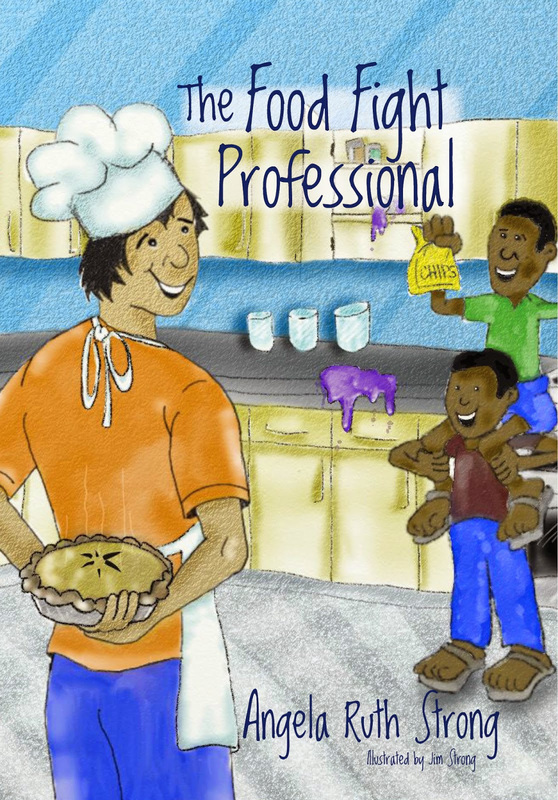 A hearty Huzzah to Angela Ruth Strong for the third instalment of her Fun4Hire series The Food Fight Professional! Due to release March 14–Pi Day! 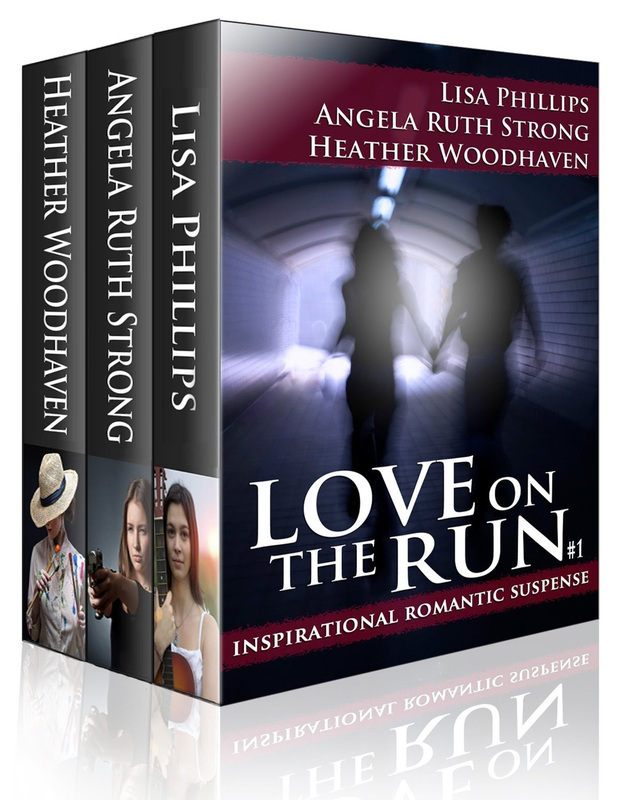 Many Felicitations to Lisa Philips, Angela Ruth Strong, and Heather Woodhaven on the release of their first Team Love On The Run Anthology! Due to Release March 27th! This entry was posted in Next Meeting on April 4, 2015 by heatherwoodhaven.